Having an X-Ray, or essentially a 3D snapshot of your mouth, taken by a professional can be beneficial even if you don’t think that there’s anything wrong. However, the top concern for many patients receiving X-Rays is, of course, the potential radiation that can come from this. Thankfully, advances in X-Ray technology has allowed for a significant reduction in the amount of radiation received during the procedure. The earliest types of X-Rays were on film, and there are still a few offices that may continue to use this type of machine. Film X-Rays offer a strong picture quality that allows your doctor to clearly see the structure of your mouth and jaw. Despite being able to perform well, many dentists are moving towards or have already transitioned to using digital X-Rays. The overarching benefit of going digital is that the patient will undergo notably less radiation when the photo is being taken. 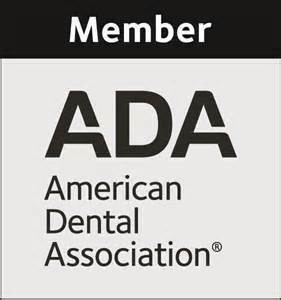 Especially for patients going through a treatment that requires regular X-Rays, this is an extremely important movement happening in the dental field. Many patients like to have X-Rays taken once a year or every two years. This can simply reassure you that everything is normal, and let your dentist reassess the condition of the oral health as you go through life. Furthermore, if you have never had your wisdom teeth taken out, keeping track of the growth and development of these molars through regular X-Rays is crucial as well. Additionally, X-Rays reveal potential infections in the mouth and even some kinds of tumors that are otherwise hidden from the naked eye. All in all, having a regular X-Ray can ultimately save you a lot of time and stress in the future. Humans are exposed to radiation every single day for a variety of reasons, and the amount received from a digital X-Ray is relatively small compared to how much a person can experience over the course of their life. Preventative screenings and care are important to all aspects of your health, and with new, safer developments in X-Ray technology, you can feel good about having the procedure done.